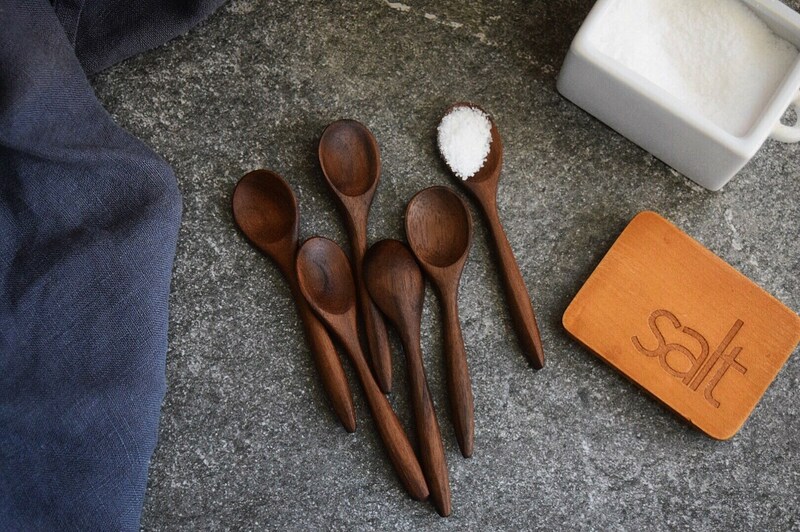 This is a listing for one handcrafted Wooded, Walnut, Salt Spoon. 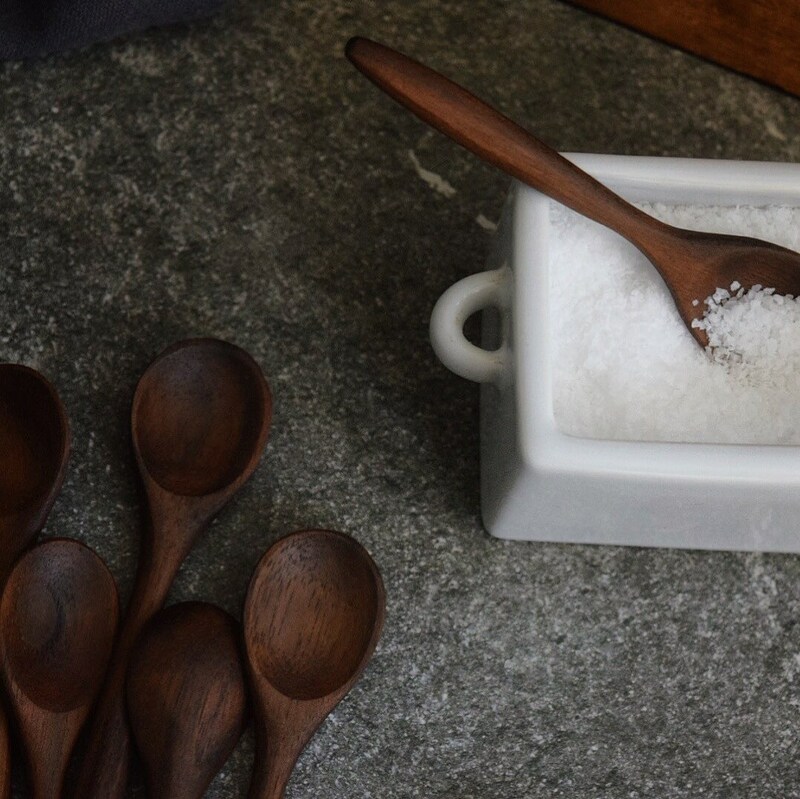 Our Salt Spoons are one of a kind and handmade in North Carolina. We use the highest quality hardwoods with no chemicals or unnatural oils. 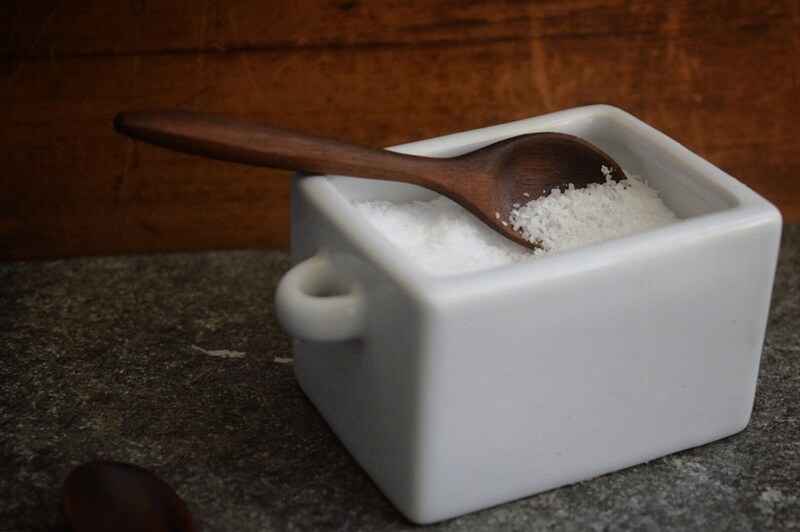 Perfect for sprinkling just the right amount of salt with out getting everyone's fingers in the bowl, and inexpensive enough to have one for every guest! *Wood grain pattern varies, but looks very similar to those in the photos. 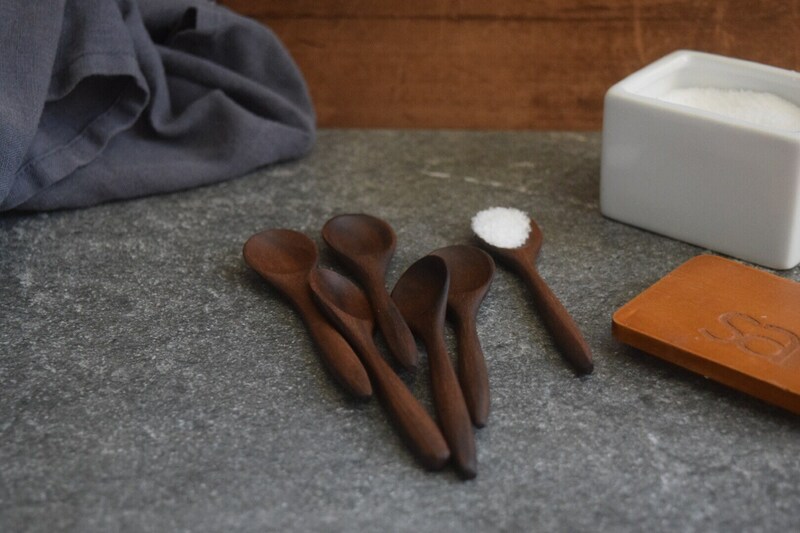 Each spoon is finished with walnut oil. Care for your spoon, when it becomes dry, by applying a little oil. We recommend walnut oil but mineral oil will do as well. Olive oil would be fine if that's all you have on hand. Hand wash with a bit of soap and dry well before oiling.